Gall Excavation offers a wide range of services for all your excavating needs. We have the capacity to do both commercial and residential site work. Most recently, we completed the new Loving Choices site, and have partnered to help expand the Bentonville Trail System. Some of our general services include lot clearing and site preparation, bulldozer work, red dirt pads, concrete slabs, footings, foundations and basements, as well as installing septic systems. We also have a fleet of dump trucks used for hauling dirt, mulch, screened topsoil, gravel and crushed limestone products. Orders can be placed for pick-up or delivery in Northwest Arkansas. Gall Excavation provides a variety of Services for your excavation, building, remodeling or landscaping project. Commercially Licensed, and Insured License # 0152110414 We have been in business for over 20 years! Call our Gall Team to schedule, and a qualified employee will meet with you to personally discuss your project. 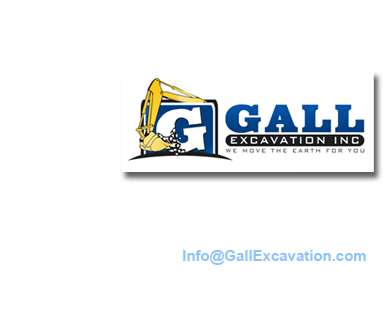 Call 479-925-1175 or..
At Gall Excavation, we are proud of every project we do, as our employees constantly strive for perfection from the beginning to end of each job. We firmly believe that safety comes first, and a great, well-managed project is a safe project. We believe safety is critical, not only to our employees, but also to our customers. The Gall Team offers many years of experience with superior workmanship throughout Northwest Arkansas. Our company cares about our customers, our employees, and our environment. We take great pride in our work, as well as our reputation. Call Gall Excavation today to schedule an appointment for your excavating needs, and a qualified member of our team will meet with you personally to discuss your project.